The Video You've All Been Waiting For! Meet Sapphire. Sapphire is one of our adorable miniature donkeys at Forward Stride. 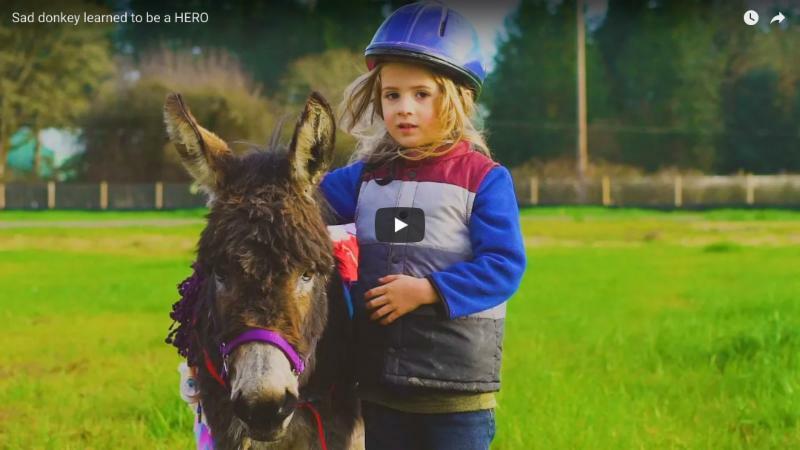 We hope you like this heartwarming video of Sapphire's journey to becoming a true hero! Did you love this video as much as we did? Then help us share Sapphire's video with the world! We challenge you to follow us on Facebook and share Sapphire's video with your community. Then challenge 5 of your friends or family to share by tagging them in the post. Don't have a Facebook? You can still help us by forwarding this email to your friends and family and asking them to share. So far our Sapphire video has almost 10,000 views and 270 shares! Will you help us reach more? The more exposure for Sapphire's video means the more opportunities for Forward Stride!